OCSTA’s Catholic Trustees Seminar Political Panel: l.-r.: MPP Peggy Sattler, The Hon. 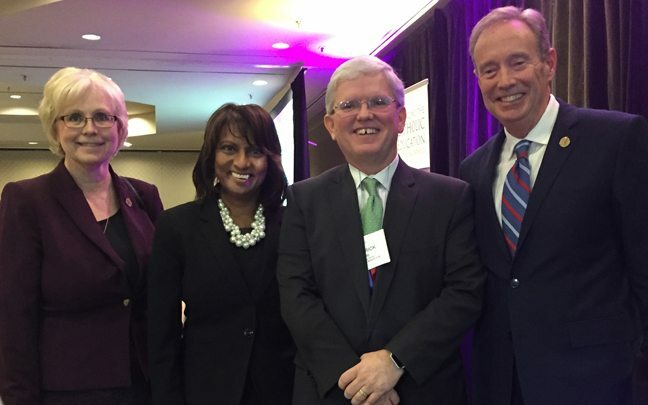 Indira Naidoo-Harris, Minister of Education, OCSTA President, Patrick Daly, and MPP Lorne Coe. 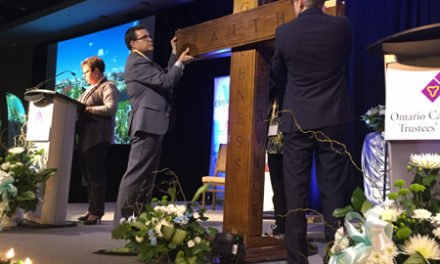 48-hours before the 2018 OCSTA Catholic Trustees Seminar, Premier Wynn announced a cabinet shuffle that brought in a new Minister of Education. OCSTA was pleased to welcome the new Minister of Education – The Hon. 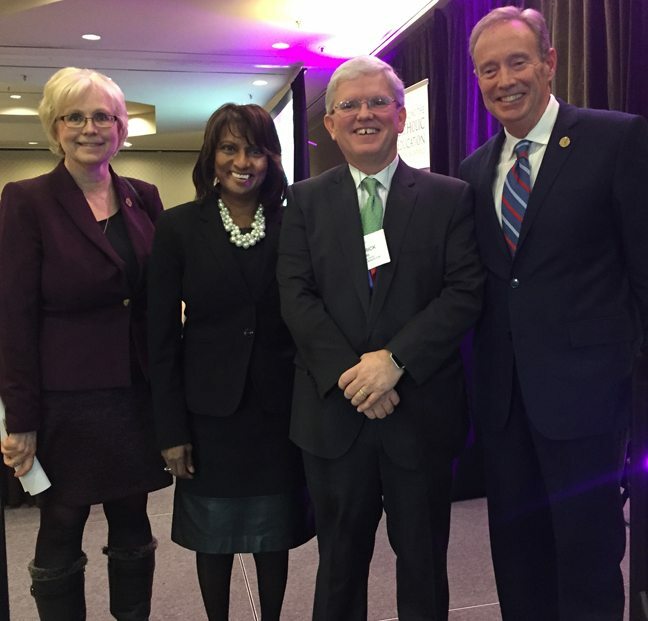 Indira Naidoo-Harris – as one of the panelists on OCSTA’s Provincial Education Priorities Political Panel at the 2018 Seminar. 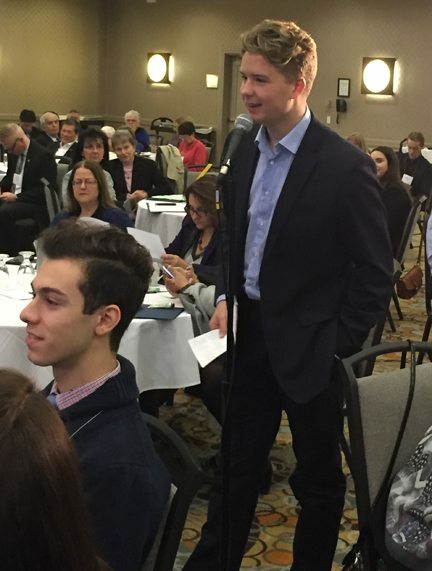 York CDSB student trustee, Ben Smith who also serves as president of the Catholic Board Council of OSTA-AECO, directed a question to the political panel about support for student mental health initiatives. OCSTA’s Seminar was the forum for the new Minister’s first public address as Minister of Education. Joining the Minister on this panel was PC Education Critic, MPP Lorne Coe and NDP Education Critic, MPP Peggy Sattler. OCSTA President, Patrick Daly was the panel moderator. Members are invited to listen to the recording of the panel discussion HERE. 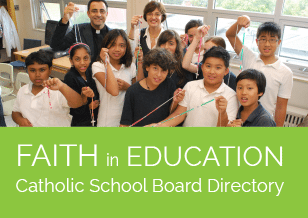 In addition to the political panel discussion and the overview of the political dynamics and electorate trends in the province presented by pollster Greg Lyle (Innovative Research Group), the 2018 Catholic Trustees Seminar offered various workshops providing peer panel perspectives and interactive dialogue on issues pertaining to governance, the distinctive role of Catholic trustees, opportunities within home-school-parish relationships; 2018 municipal campaign preparations; and effective communication strategies for trustees. The closing plenary featured an outstanding panel of mental health leads from the Simcoe-Muskoka, Durham, Toronto and Peterborough Victoria Northumberland & Clarington Catholic District School Boards. 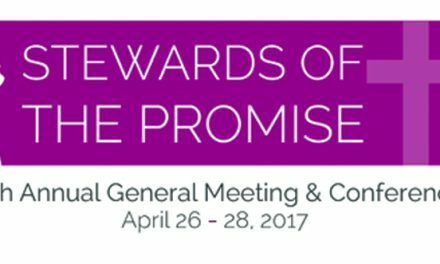 All recorded plenary sessions, and handouts/slides can be accessed online by clicking HERE. On Thursday January 18, 2018, OCSTA President, Patrick Daly delivered OCSTA’s pre-budget submission to the Standing Committee on Finance and Economic Affairs at its hearing in Kitchener. The presentation focused on OCSTA’s education finance guiding principles and key policy and funding priorities from the OCSTA annual finance brief to the government of Ontario. During the presentation, President Daly stressed the need for increased flexibility and autonomy for Catholic school boards, student transportation, special education/student mental health funding, capital funding, and sick leave costs. The pre-budget consultation brief can be viewed here. For more information, please contact Patrick Daly or Stephen Andrews – sandrews@ocsta.on.ca. 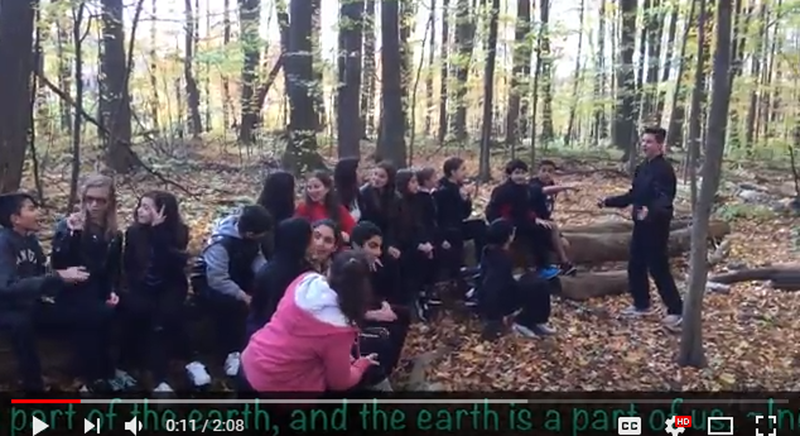 Featured here: video screen shot from 3rd place finalist, St. Michael The Archangel CES, York CDSB (click image to view video). 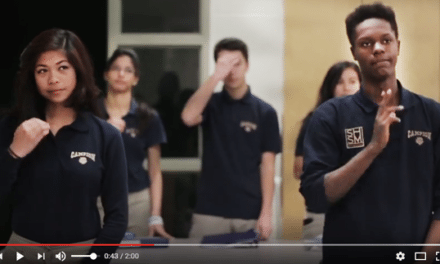 The winners of the “Stewards of Creation” short video contest for students were announced at the 2018 Catholic Trustees Seminar. Details of the announcement are featured in this Good News Blog post.